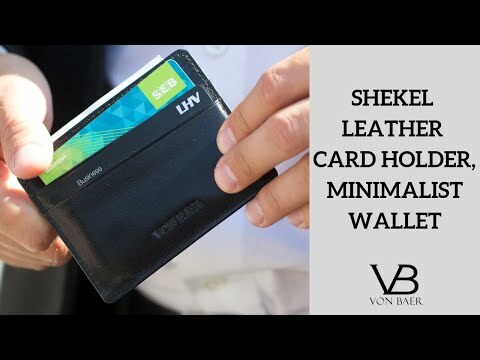 Introducing our Von Baer Shekel card holder. Made from premium full-grain buffalo leather. We offer this piece in black and dark brown. The product has been carefully designed to have a remarkable capacity for your most essential cards, while compact enough to be as slim as possible. It’s perfect for your busiest work days or for occasions when a regular wallet wouldn't be practical. The Shekel card holder is lightweight, offers great mobility and sleek aesthetics. The middle compartment will easily hold a decent amount of cash.